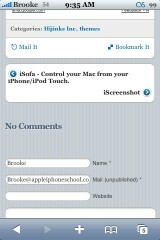 We have recently updated the theme for the mobile version of AppleiPhoneSchool.com. We were inspired by the iPhone compatible version of thewiicast.com. We have made a few changes to the theme making it a little more custom. You will continue to see changes as we finish customizing it. 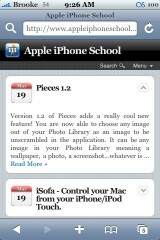 One of the features that I personally like is the ability to quickly see all the articles. 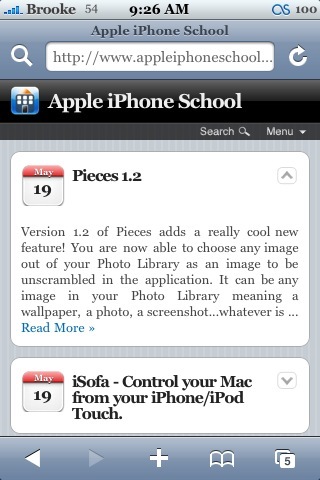 You can then tap the arrow to get a snippet of the article and the ability to read the entire article. We will be changing it so that when you tap the arrow you will see the entire article, keep an eye out for that! Below is a list of a few more great features this theme offers! Enjoy! Note: We are still trying to work out a few kinks like, selecting an image to enlarge it. much better than before. I like that you can I to the full website. Awesome. Keep it up. nice i´ve set this theme also to my WP i like it very much, but i see there are some performance problems with site loading can sonebody confirm this ? Nice look. 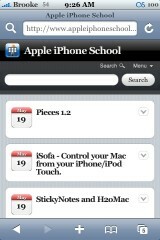 Appeliphoneschool is always getting better. Ps. 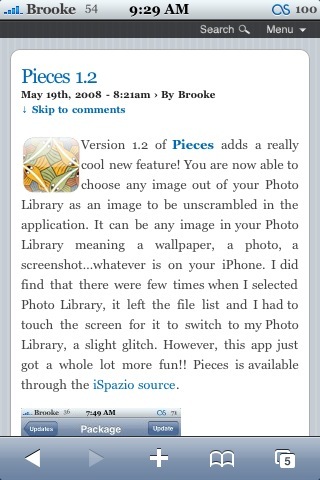 In time, Brooke, have you noted that intelliscreen has released another version. Much better. 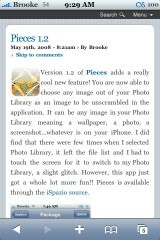 I’d love to see your comments about an app called SwapPlugins, is an app that may you download files with safari. 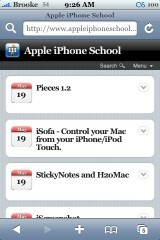 Yes, I saw the Intelliscreen update yesterday. I will try to get a post out about it today. I will also take a look at SwapPlugins. It’s much slower to me. I thought it was WIFI going slow, but I tried it on other websites, and its going much quicker. Maybe a lot of people are on the website right now, or something. Keep us informed of your experience. We are having some hanging up of our site that Mosso is looking into. We may leave the design for a week and they let you guys vote on which version you like the best, how’s that sound? :) Let me get this one tweaked right and let Mosso fix the hang up… Thanks again for your comments! I know there is a new version of intelliscreen so I refresh sources but the update doesn’t come up. Yes I have the source. It didn’t show up as a new update for me as well…it was at the bottom of my update list with no star indicating that it was new. But, it was there. loving the new mobile site. Very easy to navigate too. The loading times appears to be okay. oh. The comment submit/post button says “search”. Wrong image? What does 2.0 and the AppStore mean for Jailbreaking?